Pack 227 Featured in the August Scout Scoop! Pack 227 was featured in the August edition of Orange County Council’s Scout Scoop email newsletter. 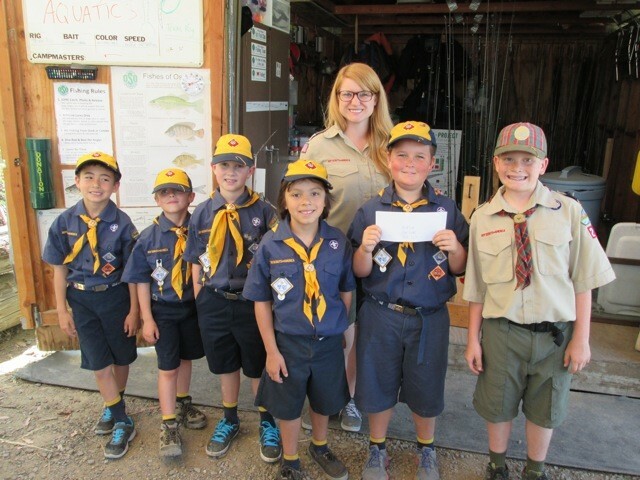 Last year scouts from Pack 227 collected recyclables and donated the proceeds to the Oso Lake Scout Camp. Den 8 was on hand to deliver the check (and take in a little fishing as well.) More details can be found in the August Scout Scoop here.